What was it about this small archipelago in the Atlantic that so inspired Lennon? 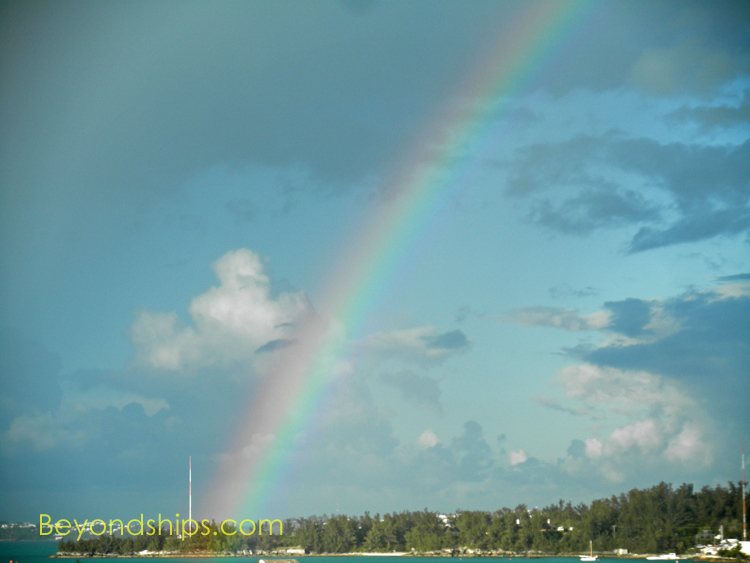 Moreover, can visitors to Bermuda, particularly cruise visitors, still find the traces of that inspiration? The story of The Beatles is too well known to go into detail. Essentially, four young men emerged from Liverpool, England in the early 1960s and in just a few years changed not only popular music but also social attitudes and the way people live. In short, it is not too much to say, they changed the course of history. In order to appreciate the role of Bermuda in the story, it is necessary to look a little further at John Lennon, the man. Lennon did not have the happiest of boyhoods. His father left to work on the ships that sailed out of Liverpool and never returned. His mother, unable to raise the boy by herself, sent him to live with her sister in suburban Liverpool. Eventually, his mother re-entered his life, and the two became very close. However, she was killed not long afterwards when she was struck by an automobile while crossing the street. This left a deep void in Lennon’s life. In his music, you can see elements of loneliness and trace his search for love. You can also see it in his need for close friendships such as with his fellow Beatles. Lennon, however, did not find what he was looking for until he met Yoko Ono. He felt that they indeed were soul mates. “After all, the two are really one” he would write much later in the song “Dear Yoko”. But the Beatles were the subject of intense public scrutiny. The group was idolized by millions and the press shined a spotlight on everything they did. The group had had such an impact on the times that each word and action was analyzed for its meaning. Moreover, Lennon and Ono attracted even more attention by taking very public positions on the social issues of the day. This intense scrutiny continued even after the break-up of the Beatles. Lennon was a tremendously popular solo artist in the early 1970s with songs such as “Imagine.” Eventually, the public pressure caused Lennon and Ono, now his wife, to separate for a time. The period following Lennon’s reconciliation with Ono was probably one of the happiest in his life. Living in an apartment building overlooking Central Park in New York City, the couple had a son, Sean. Lennon left the public spotlight to devote himself to raising the child he so clearly adored. 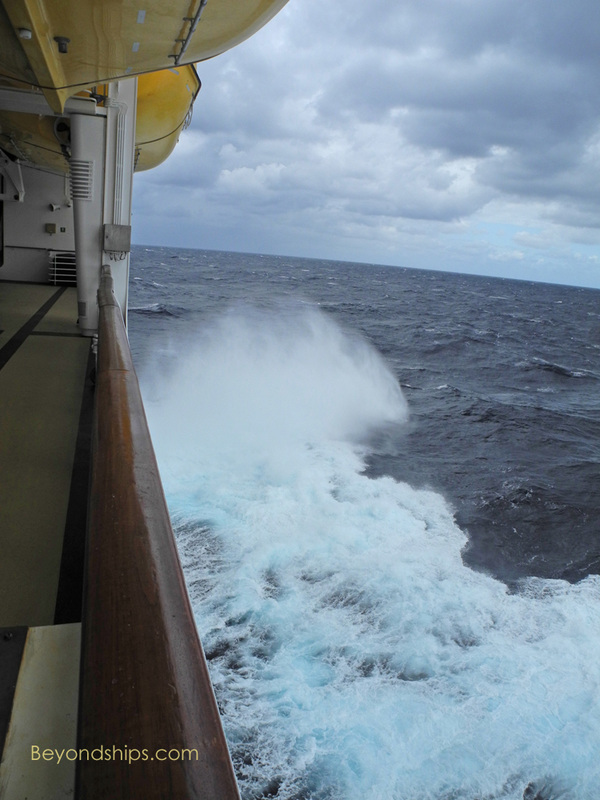 Explorer of the Seas handling a storm off Bermuda. In June 1980, Lennon traveled to Bermuda by sea. he chartered the 43-foot sailing sloop Megan Jay and set sail from Newport, Rhode Island, with four-year old Sean and a professional crew. Along the way, the boat encountered a storm with 20 foot swells and gale force winds that was reportedly too much for the crew to handle by themselves. As a result, over the course of two days, Lennon had to take his turn at the helm. The experience of battling the elements exhilarated Lennon, leaving him with a renewed sense of accomplishment and personal power. I have cruised to Bermuda some 16 times now. Most of these voyages have been through calm waters. The ships go slowly as Bermuda is not very far from the East Coast of the United States and the decks are full of passengers lazing in the sun. Arriving safely in Bermuda, Lennon rented Villa Undercliff in the Fairyland section of Pembroke Parish. It is secluded and the house has a large porch that overlooks the Great Sound. This was Lennon’s base of operations during his stay on the island - - a place where he could enjoy his privacy and play with his young son. Villa Undercliff is not open to the public. 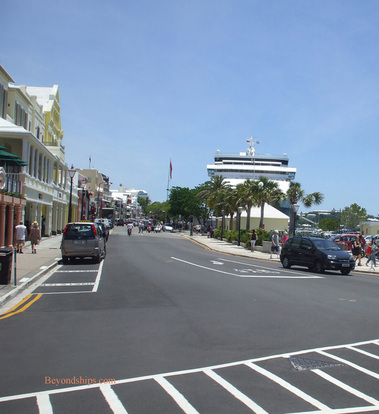 However, you can see the mansions and large homes bordering the Great Sound from the ferry that takes people from Kings Wharf, where most cruise ships dock, into Hamilton, Bermuda’s capital and urban center. The homes along the coast have an idyllic beauty, often emerging from tree-covered slopes that go down to a small beach or as in the case of Undercliff a patio/dock by the water’s edge.